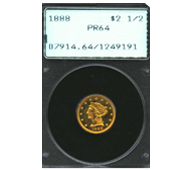 Markham Numismatics – we are a BBB Accredited PCGS Coin Appraiser. we also appraiser NGC Coins. As past grader for PCGS we have unsurpassed knowledge of coin grading and coin values, which makes us the smart choice when selling PCGS coins and NGC coins in palm springs ,ca . we have been serving the desert for over 30 years . please visit our website for more information https://www.coinspcgs.com or call 1-760-904-6016 Office in Palm Springs we are by Appointment Only !